Everything you need to know about taco dip! An interview was conducted with a long time taco maker Sue Schmitz. According to Schmitz taco dip became popular around the 1980s. After Schmitz was asked if she thought Betty Schmitz, her mother in-law, had taco dip when she was growing up she responded with “No, she never had anything like that. I didn’t even know about taco dip until the mid ‘80s. The first time I made taco dip was around the time when I got married in ‘92. It was very easy to get the hang of and ever since, I have enjoyed making taco dip for my family and friends.” So what Schmitz is trying to say is that even though taco dip became popular in the ‘80s she didn’t try making it until about ‘92, and since then she became hooked on making taco dip for herself and others. 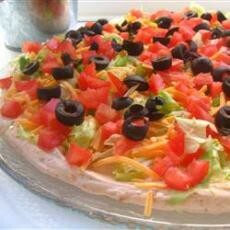 There are many different types of taco dip all with different ingredients. The two most popular are the seven layer taco dip and the cream cheese taco dip. According to McCormick and Co. “The seven layer taco dip usually includes refried beans, guacamole, sour cream, and desired toppings, commonly lettuce, cheese, olives, and celery are toppings”(2). What they are stating is the ingredients of the seven layer taco dip. 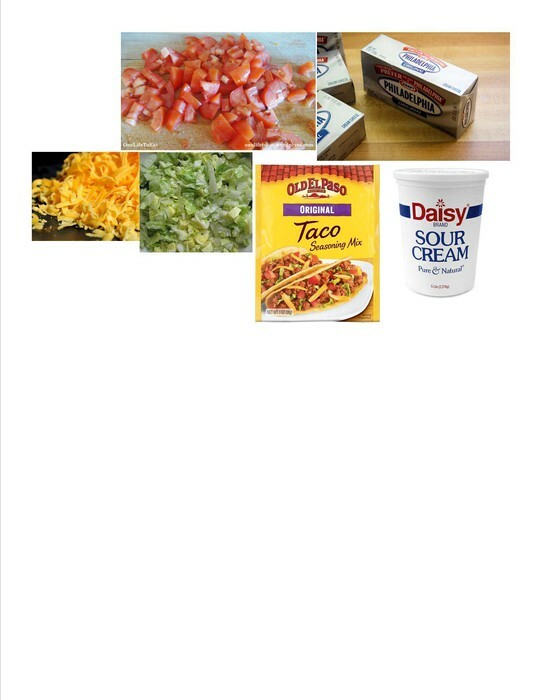 Schmitz says that cream cheese taco dip usually includes cream cheese, sour cream, taco seasoning, and desired toppings usually cheese, lettuce, and tomatoes. 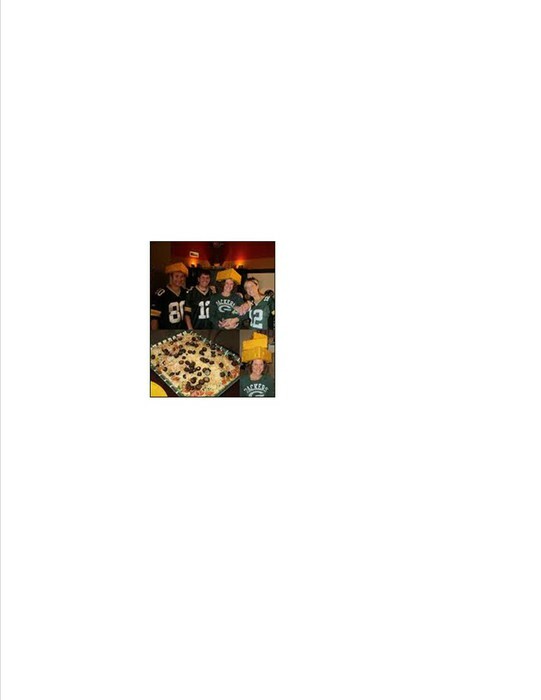 Taco dip can be used for a simple snack; although, it is most often used for house hold get to gathers, family events, or commonly in the U.S. for super bowl parties and tail gate parties (Courtney 1). Schmitz said “Taco dip is very easy and kind of fun to make. So when we have pot luck or we have people over taco dip is always a go to for me.” Schmitz is insisting that if you ever need a dish to pass for anything that taco dip is a quick and easy solution. Taco dip does not spoil very easily. If you just put plastic wrap over the dish and refrigerate it, it will stay good for a little over a week. There are many different recipes for taco dip. The original Mexican dip usually includes cream cheese, tomatoes, salsa, jalapenos, cheddar cheese, black olives, taco seasoning, and desired spices (DoctorDV). According to DoctorDV the Mexican dip is commonly baked and eaten warm. An interview was conducted with a taco dip maker Sue Schmitz. Schmitz stated “The recipe I use includes taco seasoning, cream cheese, sour cream, shredded cheddar cheese, lettuce, and chopped tomatoes. The toppings are all optional. A lot of people use black olives too.” In other words Schmitz says that the ingredient in taco dip depends on your personal preferences. The usual American taco dip is eaten cold with tortilla chips (Schmitz). When did Taco Dip Become Popular? According to Schmitz taco dip became popular around the 1980s. After Schmitz was asked if she thought Betty Schmitz, her mother in-law, had taco dip when she was growing up she responded with “No, she never had anything like that. I didn’t even know about taco dip until the mid ‘80s. The first time I made taco dip was around the time when I got married in ‘92. It was very easy to get the hang of and ever since I have enjoyed making taco dip for my family and friends.” So what Schmitz is trying to say is that even though taco dip became popular in the ‘80s she didn’t try making it until about ‘92, and since then she became hooked on making taco dip for herself and others. -"Allrecipes - Recipes and Cooking Confidence for Home Cooks Everywhere."Allrecipes.com. Allrecipes.com, 2012. Web. 23 Oct. 2012. <http://allrecipes.com/>. -Bailey, Norman. "How To Article Categories." How To Articles & How To Videos. N.p., 2012. Web. 22 Oct. 2012. <http://www.howtodothings.com/>. -Courtney. "Women Living Well." Womenlivingwell.org. N.p., 2012. Web. 22 Oct. 2012. <http://womenlivingwell.org/>. -DoctorDV. "Instructables - Make, How To, and DIY." Instructables - Make, How To, and DIY. N.p., n.d. Web. 22 Oct. 2012. <http://www.instructables.com/>. -N.d. Photograph. Lovesarahd.blogspot.com. Google.com, 7 Feb. 2011. Web. 31 Oct. 2012. <http://lovesarahd.blogspot.com>. -N.d. Photograph. Mccromick.com. Google.com. Web. 31 Oct. 2012. 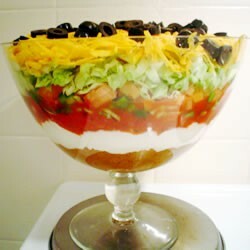 <http://www.mccormick.com/Recipes/Appetizers-Snacks/Seven-Layer-Fiesta-Dip.aspx>. -N.d. Photograph. Mommysavers.com. 24 Feb. 2012. Web. 1 Nov. 2012. 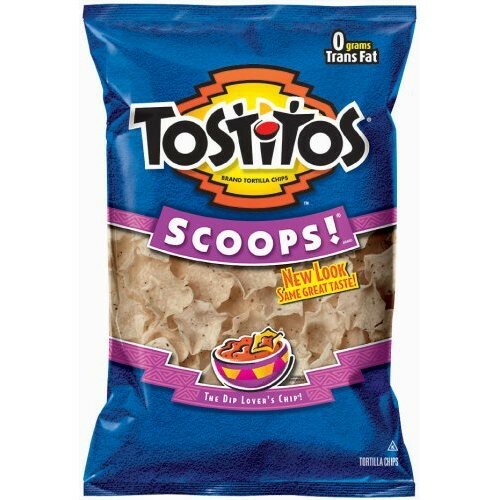 <http://www.mommysavers.com/hot-coupon-1-002-tostitos-tortilla-chips-or-salsa/tostitos-chips-coupon/>. -N.d. Photograph. Kitchenbutterfly.com. 9 Aug. 2009. Web. 1 Nov. 2012. <http://www.kitchenbutterfly.com/2009/08/09/greek-salad-extraordinaire/>. -N.d. Photograph. Yummly.com. Google.com. Web. 31 Oct. 2012. 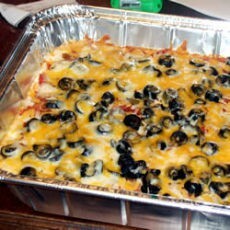 <http://www.yummly.com/recipes/cream-cheese-taco-dip-with-meat>. -"Recipes | 30 Minute Meals | Herbs & Spices | Seasoning Mixes | McCormickÂ®." Recipes. McCromick & Company Inc., 2011. Web. 23 Oct. 2012. <http://www.mccormick.com/>. -"Relish - Recipes, Dinner Ideas, Cooking." Relish - Recipes, Dinner Ideas, Cooking. Publishing Group Of America, 2012. Web. 22 Oct. 2012. <http://relish.com/>.